Whether you are stuffing bags, folding t-shirts, educating your community, attending events, etc. y ou are the life-blood of our organization. 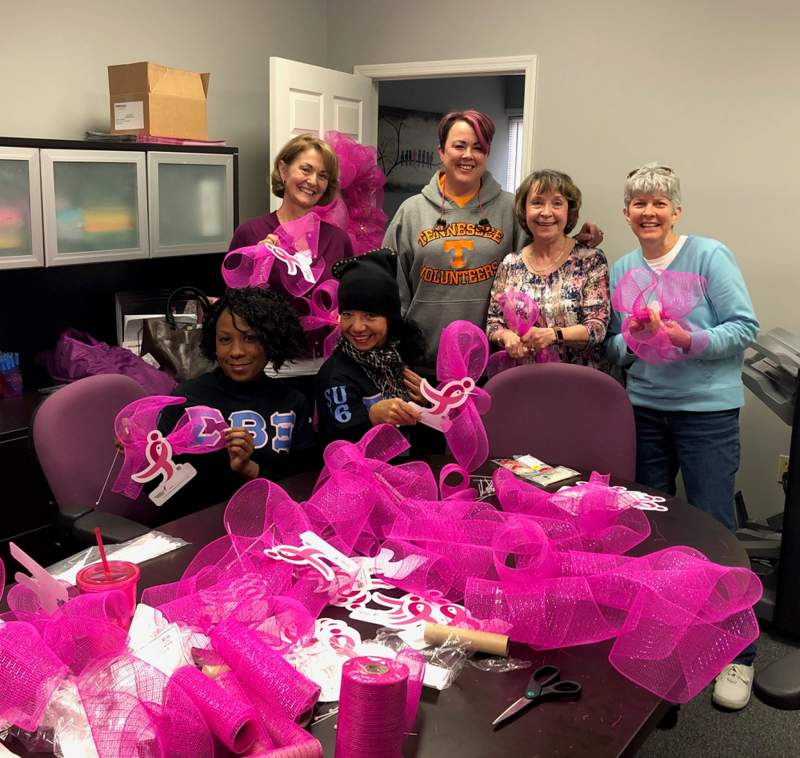 With the help of our dedicated volunteers, the Central Tennessee Affiliate is able to host annual events, educate our 41-county service area and work to fulfill our mission to save lives by meeting the most critical needs in our communities and investing in breakthrough research to prevent and cure breast cancer. If you are looking to volunteer with a specific event such as an upcoming Fit for the Cure® or health fair, please click here. This will allow you to see upcoming oppournities including dates, times, and locations. If you have questions, please contact us at 615-383-0017. Can’t volunteer at the moment but would like to stay in touch? Please fill out our Volunteer Application. This will allow you to receive emails from our affiliate about upcoming oppournities.